The owls are finally finished. 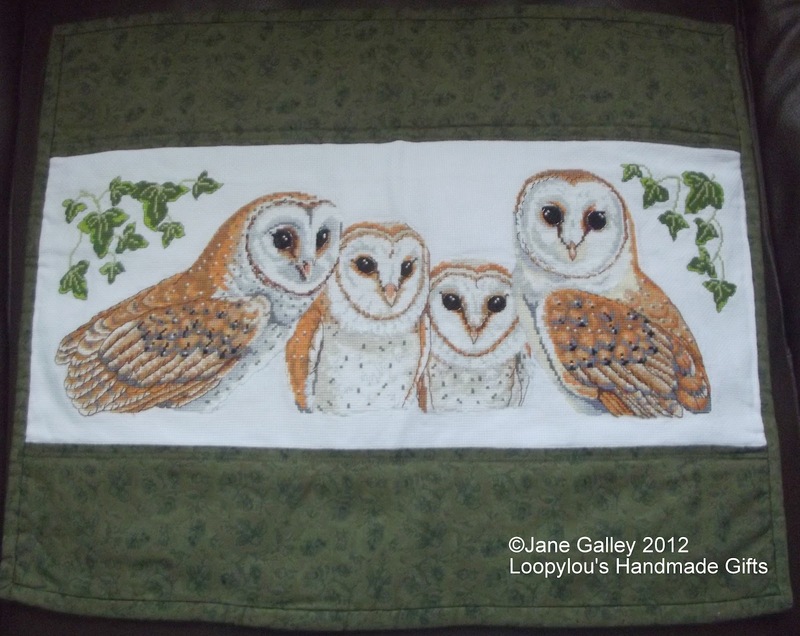 I've used the same fabric for the backing and binding, so it was all very simple to finish. I've added two hanging triangles on the back and it's all ready to go. I don't think Jonathan's cross stitch will be completed as quickly, it hasn't been out for almost a fortnight. I should rectify that this week, and work on it at least one day. It's wonderful! Has Daniel seen it yet? wonderful! I bet you feel a real sense of achievement. It came out amazing. I am sure he will love it. It looks amazing! Nicely done, Jane. It was worth all the effort. Just lovely. So beautiful Jane! You should be very proud of this awesome finish! 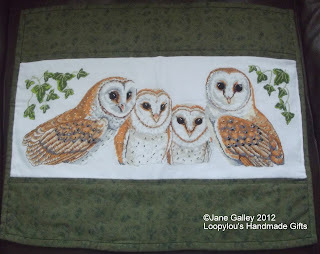 And the owls look so good as a wall hanging. Perfect finish! Aren't those fast finish triangles great!